Novelist, screenwriter, director of documentary films. 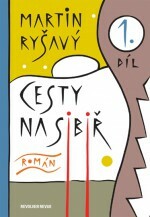 Winner of the Josef Škvorecký Award (2011, in 2009 he was “only” nominated), two Magnesia Literas (2009 and 2011) and the Bank Austria Literaris award (2012). His books have also been brought out in German. 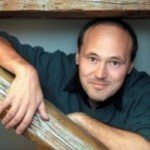 He was born in Prague on 5 April 1967. Despite lengthy passages describing the local environment, Journeys to Siberia is primarily autotherapy. Deliberations on ethnographic, sociological and historical subjects are framed by the story of the main character and narrator, a man who is searching for himself. He graduated in biology and screenwriting. He started off writing scripts, first for his own film Argiš (Argish, 1995) about the life of a nomadic tribe on the icy Taymyr peninsula in the northernmost tip of Russia. 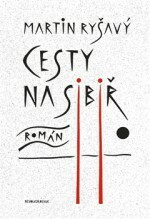 He also wrote the screenplay for the chapter Cesta (Journey) in Vávra’s episodic film Co chytneš v žitě (In the Rye, 1998) and for the movie Lesní chodci (Forest Walkers, Ivan Vojnár, 2003). 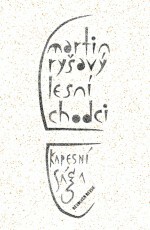 He later reworked this into a book – Lesní chodci with the subtitle Kapesní sága (A Pocket Saga, Eva Babická, 2001). 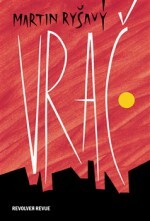 A novel about the absurdity of contemporary Russia entitled Vrač (Liar, Revolver revue, 2010) was awarded the Magnesia Litera for prose and the Josef Škvorecký Award. The main character is first a director, then a street sweeper and finally a dispatcher for Moscow’s municipal services. With its stratified monologue describing both present-day Moscow and the former Soviet Union, it takes in the “higher” world of art (through his role as a former director) as well as the “lower” world of street cleaners. The main character could just as easily be a documentary-maker as a liar, and the word “vrač” could just as easily mean a doctor as a charlatan. As Dora Kaprálová writes in the newspaper MFDnes, “Street sweeper Gučev, our vrač, who has lost everything except his gift of the gab and his sharp intellect, also knows that retreating into immobility and silence de facto equals death. Particularly in the reality of Putin’s Russia, contaminated by feudalism with elements of eternal communism and the worst offshoot of hard-line capitalism.” Vrač thus tells a story, constantly, with many digressions, yet in an engaging way. Martin Ryšavý’s latest work is Stanice Čtyřsloupový ostrov (Four-Column Island Station, Revolver revue, 2011), in which he describes the subject matter of his earlier documentary Medvědí ostrovy (Bear Islands, 2010) about life at a Russian polar station. This is Russia as we imagine it – everybody drinks, so nothing works; nothing works, so everybody prefers to drink.